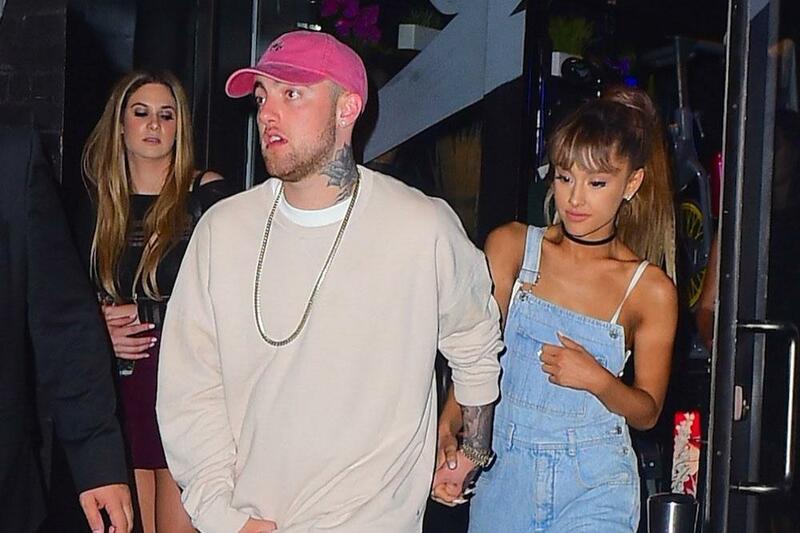 Ariana Grande was furious that Mac Miller didn’t win a Grammy Award, especially because her late ex-boyfriend’s parents were at the ceremony. Ariana Grande was furious that Mac Miller didn’t win a Grammy Award. The 25-year-old singer apologised after tweeting „f**k“ and „trash“ when Cardi B won Best Rap Album for ‚Invasion of Privacy‘, insisting she hadn’t meant to shade the ‚Bodak Yellow‘ hitmaker. She deleted her tweets and then wrote: „[The tweets had] nothing to do w [Cardi]. good for her. i promise. i’m sorry. The ‚God is A Woman‘ hitmaker – who began dating the late star in August 2016 but they split early in 2018, months before he died from an accidental overdose in September – admitted she was upset that Mac’s ‚Swimming‘ hadn’t taken the honour, particularly because Grammys bosses had invited his parents, Karen Meyer and Mark McCormick to attend the ceremony. Meanwhile, Cardi didn’t respond to the comments but she took to her Instagram account to share a screenshot of a story that claimed Mac’s family wanted her to win the award if he didn’t. Ariana liked the post and added three hearts in the comments. The ‚7 Rings‘ singer didn’t attend the Grammy awards as she had been locked in a dispute with event organisers over her planned performance. Ariana – who won Best Pop Vocal Album for her record ‚Sweetener‘ – slammed Grammys producer Ken Ehrlich on Twitter a few days ago when she shared pictures of an interview he’d given in which he claimed she couldn’t „pull something together“ in enough time. She wrote: „i’ve kept my mouth shut but now you’re lying about me. i can pull together a performance over night and you know that, Ken. it was when my creativity & self expression was stifled by you, that i decided not to attend. i hope the show is exactly what you want it to be and more. Mac was honoured in the evening’s In Memoriam segment. ‚Hobbs und Shaw‘ Trailer: The Rock, Jason Statham, und Wilden Stunts…Was Braucht Man Mehr? Kommentare deaktiviert für ‚Hobbs und Shaw‘ Trailer: The Rock, Jason Statham, und Wilden Stunts…Was Braucht Man Mehr?